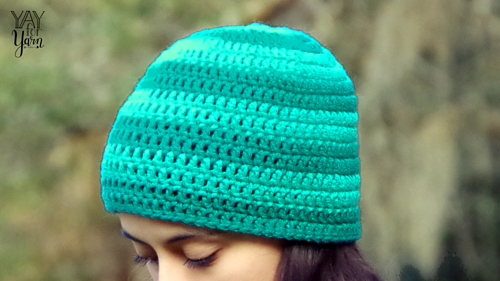 CLICK HERE for the FREE Written Pattern with VIDEO TUTORIAL! OR you can purchase a Large-Print, Ad-Free, Printable PDF version of the pattern by clicking the “buy now” button above. Hat is designed with negative ease, meaning the hat is a little smaller than the wearer’s actual head circumference, so it will stretch to comfortably stay on the head. Preemie (0-6 Months, 6-12 Months, 12-18 Months, Child Small, Child Medium, Child Large, Adult Small, Adult Medium, Adult Large). This pattern is intended for your personal use only. You may not share it, copy it, sell it, give it away, or mass produce the finished product. 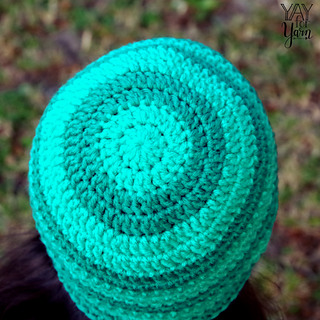 However, you may sell the finished items on a small scale, as long as you convey in an item description that you used a Yay For Yarn pattern. Yay For Yarn Copyright © 2018 - Current. 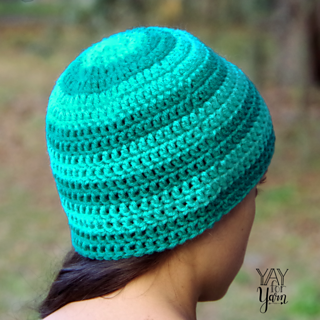 All patterns and photos are owned by Yay For Yarn.